Moscow’s Domodedovo Airport has completed testing of eGate automated gates, which enable passengers to pass pre-flight checks and board the plane themselves. As a result of the trials the technology “has proven efficient,” the airport reports. The eGate trials began last year and involved 16 gates. The equipment has the capability to scan a paper boarding pass, as well as a QR-code on a mobile device. More than 1.2 million passengers have used the equipment since it was installed in the beginning of the year. In particular, the gates, which give access to the international departures hall have the collective capacity of 200 passengers per minute. The eGate facilitates and speeds up the checks and boarding routine. Domodedovo has announced plans to install additional 100 gates in international and domestic departure galleries in time for the FIFA 2018 championship. Implementation of the eGate technology is one of the steps towards complying with Russia’s Transport Ministry’s requirements to abandon the obligatory paper boarding passes in favor of their electronic form. 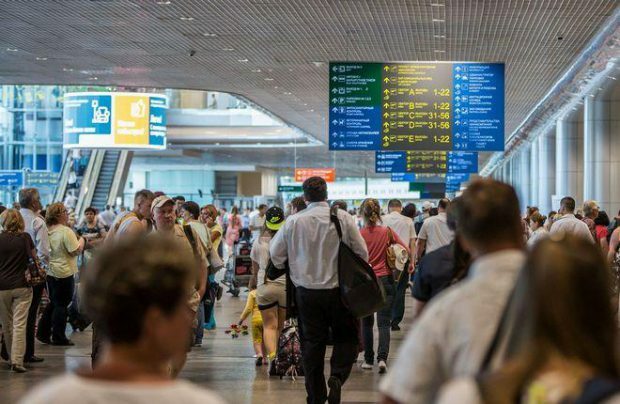 Among the three Moscow airports, Vnukovo reported earlier that it had acquired the equipment necessary for registering electronic boarding passes, whereas both Sheremetyevo and Domodedovo announced they were testing the systems.